Logistic regression plays an important role in machine learning. People excitingly use it in conceptual matching yet with some details to be understood further. This paper aims to present a reasonable statement on logistic regression based on fuzzy sets and the factor space theory. An example about breast cancer diagnosis is displayed to show how the factor space theory can be incorporated into the understanding and use of logistic regression. Bao Y.K (2011); Data Analysis, Tsinghua University Press, 2011. Bruzzi B.P, Sylvan B.G, David P.B, Louise A.B, Catherine S. (1985); Estimating the Population Attributable Risk for Multiple Risk Factors Using Case-Control Data, American Journal of Epidemiology, 122(5), 904-914, 1985. Dayton C.M. (1992); Logistic Regression Analysis, University of Maryland, 1992. Guo S.C, Chen G. (2001); Method of Soft Computing in Information Science, Northeastern University Press, 2001. Li H.X, Wang P.Z. (1994); A Mathematical Theory on Knowledge Representation, Tianjin Scientific and Technical Press, 1994. Liu Z.L, Liu Y.C. (1992); Theory of Factorial Neural Networks, Beijing Normal University Press, 1992. Liu H.T, Wang P.Z; Background distribution and fuzzy background relationship (to be published). Mood C. (2010); Logistic Regression: Why We Cannot Do What We Think We Can Do, and What We Can Do About It, European Sociological Review, 26(1), 67-82, 2010. Peduzzi P., Concato J., Kemper K. (1996); A simulation study of the number of events per variable in logistic regression analysis, Journal of clinical epidemiology, 49(12), 1373-1379, 1996. Prette Z. A. P. D, Prette A.D, Oliveira L.A.D, Gresham F.M, Vance M.J. (2012); Role of social performance in predicting learning problems: Prediction of risk using logistic regression analysis, School Psychology International, 33(6), 615-630, 2012. Russell S.J, Norvig P. (2011); Artificial Intelligence A modern Approach (Third Edition), Tsinghua University Press, 2011. Steyerberga E.W, Jrb F. E. H, Borsbooma G. J. J. M. (2001); Internal validation of predictive models: Efficiency of some procedures for logistic regression analysis, Journal of Clinical Epidemiology, 54, 774-781, 2001. Wang P.Z. (2013); Factor space and factor data bases, Journal of Liaoning Engineering and Technology University, 32(10), 1-8, 2013. Wang P.Z, Guo S.C, Bao Y.K, Liu H.T. (2014); Causality analysis in factor spaces, Journal of Liaoning Engineering and Technology University, 33(7), 1-6, 2014. Wang P.Z. 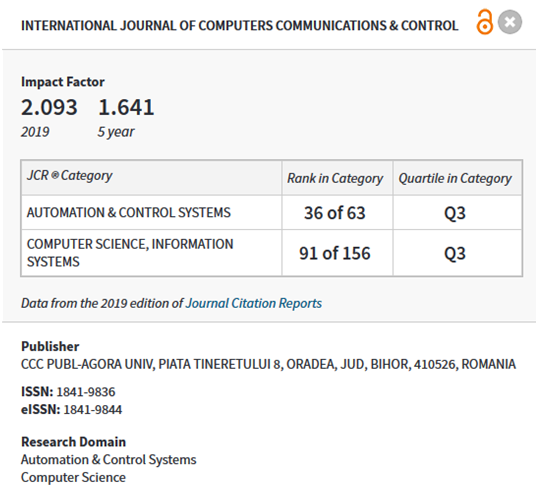 (2015); Factor space and data science, Journal of Liaoning Engineering and Technology University, 34(2), 273-280, 2015. Wang P.Z. (1981); In: Hao BL et al (eds) Advance of statistical physics.Science, Beijing, 1981. Wang P.Z. (1985); Fuzzy Sets and Falling Shadow of Random Sets, Beijing Normal University Press, 1985. Wang P.Z, Sugeno M. (1982); The factors field and background structure for fuzzy subsets, Fuzzy Mathematics, (2), 45-54, 1982. Wang P.Z, Zhang H.M, Ma X.W, Xu W. (1991); Fuzzy set-operations represented by falling shadow theory, in: Fuzzy Engineering toward Human Friendly Systems, Proceedings of the International Fuzzy Engineering Symposium '91, Yokohama, Japan, 1, 82-90, 1991. Wang P.Z, Liu H.C, Zhang X.H. (1993); Win-win strategy for probability and fuzzy mathematics, The Journal of Fuzzy Mathematics, 1(1), 223-231, 1993. Wang P.Z. (2013); Fuzzy Mathematics and Optimization,Beijing Normal University Press, 2013. Wang P.Z, Liu Z.L, Shi Y, Guo S.C. (2014); Factor Space, the Theoretical Base of Data Science, Annals of Data Science, 1(2), 233-251, 2014. Zadeh L.A. (1965); Fuzzy Subsets, Information and Control, 8, 338-353, 1965.